north korea is communistic, and south korea is democracy country. maybe it`s the south korea. 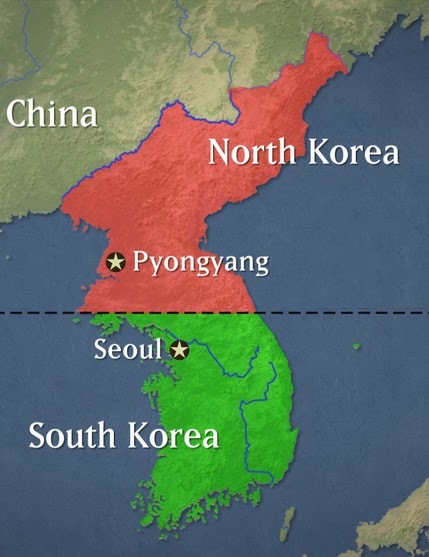 strictly speaking, korea are in a state of civil war. but south korea is peaceful. so south korea is top country of the world. i think, south korea is more peaceful than USA any more. so koreans haven`t a gun. but your friend and he`s familys are not staying his house. He, just put off a front of door. why ?, don`t steal that anybody. why ?, korean peoples are belive each other. can you understand ? it`s a small life situation. but another countrys are not. You see this situation on only, just Korea. south korea is global 10 grade country. didn`t or can`t believe my talk ? Ok, if you have been to korea, you`ll be change. you didn`t know the south korea.